Europa Mundo Vacaciones (EMV) was originally a family company, which in the last 10 years has experienced average growth in sales of 15.6% a year and is now the Hispano American leader in circuits in Europe and also has its own circuits in the United States, Canada, Mexico, Costa Rica, India and Japan, with 1,000 different tours and 130,000 passengers a year travelling circuits in 25 different countries of Latin America, Spain and Portugal. In 2016, circuits were provided which are currently commercialised in India, Thailand, Philippines, Malaysia, United States, Jordan and Australia. EMV has 140 employees in its offices in Madrid and considerable staff in Brazil, Argentina, India, Thailand, Peru, United States and in the main cities of Europe, as well as 180 guides and up to 200 in the high season. The company has grown an annual 12% in the last 6 years in terms of staff, who have an average seniority of 6 years, an average age of 38, and of which 80% are in permanent posts. One point which must be stressed is the policy of integrating women, and their hierarchical distribution through the company organisation in EMV is 20% women executives, 70% women in middle management and 65% amongst company employees. 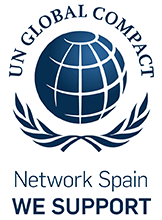 In the company’s work team, it has staff in its Madrid office of 15 different nationalities including Brazil, Chile, Argentina, Mexico, Peru, Venezuela, Colombia, Paraguay, France, Spain, Romania, Armenia, India, Japan and Morocco, and guides from Spain, Portugal, France, Italy, Greece, Serbia, Croatia, Bulgaria, Albania, Turkey, Jordan, Russia, Brazil, Uruguay, Mexico, Argentina, Colombia, Cuba, Venezuela and the United States, giving this diverse and multicultural focus. The great dream started in 1997, and through work and effort has been consolidated over the years. Five years ago, Europa Mundo Vacaciones started to take important steps in the area of Corporate Social Responsibility with its Foundation and the 80 projects carried out from 2011 to 2016 in support of 158,083 people; additionally through its Code of Ethics, Manual of Good Practices and with the constant monitoring of its Board, as well as the environmental management policies with reduction in consumption such as electricity, recycling of material such as paper, toners, batteries, computer equipment, mobile phones, plastics, stoppers, and calculating the company’s CO2 emissions and its compensation through projects in Spain and Guatemala, obtaining the Zero CO2 stamp. Through the recently created Corporate Social Responsibility Department, Europa Mundo has set clear objectives in Corporate Social Responsibility with the commitment to provide the greatest possible value to stakeholders. The many alliances with our tour operators has led us to all countries of Latin America and made us the leading circuit operator. We now belong to the JTB (Japan Travel Bureau) tourist group. 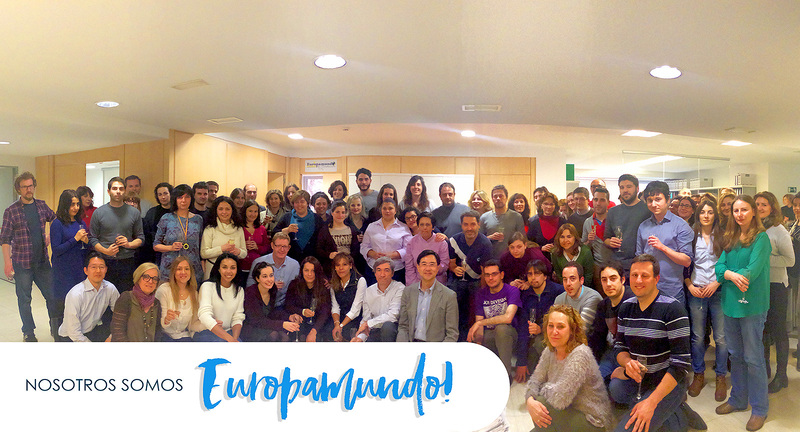 Europa Mundo’s beginnings in May 1997 were modest; just a small office/agency on Fernando el Católico in Madrid resulting from the separation of staff and offices of Mundo Joven, with 10 people and 2 facing the public, and the Grupo Mundo logo. However in May, Europamundo and its logo appeared. At the beginning of 1998, the company began to grow and moved to larger offices in calle Guzmán el Bueno in Madrid, and once again in 2000 to the offices on the Gran Vía. Since then, the company has grown from its first leaflet in 1997 inherited from Mundo Joven with the name of Grupo Mundo and 21 circuits and 40 pages, to the first leaflet as Europa Mundo in 1998, attached, with 24 circuits and 48 pages, to 1,000 circuits and 519 pages in 2016, and making its final move to the offices on Garcia de Paredes in 2011. We are a company that does not sell trips but rather EXPERIENCES. In Europamundo we create responsible tourism through which we aim to transmit the importance of appreciating and caring for our surroundings, the lands we live on, the different cultures, different ways to face life, all thanks to the workers that make it possible to provide customers with a great added value, which is a passion for travelling. Our mission is to create experiences in our customers to allow them to see different cultures through flexible circuits with possible value for money. 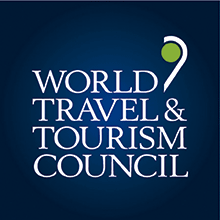 To continue to be a leading innovative company in the tourist sector, aimed at the customers and wagering on technology, creativity, security and, above all, responsible and sustainable tourism. a)	We are all Europamundo. Therefore each of us is a principal asset of the company. b)	We do our work effectively, responsibly and rapidly, adapting to change. c)	We seek personal satisfaction and that of our customers. d)	Our behaviour and our image must be a reflection of the seriousness and professionalism of the team we form. EMV respects the local cultures of each community and country in which it operates and the countries of origin of the passengers, adopting a committed attitude and trying to contribute to the socio-economic development of these places and to the awareness of their cultures. EMV takes respect for people and their dignity as a fundamental value, and subscribes completely to the declarations and agreements described in the criteria of action, point a). EMV is committed to sustainability, preserving the environment by adopting procedures to reduce the environmental impact of its activities. Transparency is a fundamental principle for customers, shareholders, suppliers and generally for society, and creates a climate of confidence in EMV’s business activity. EMV assumes the commitment of giving its customers full and precise information for their activities, providing shareholders with the relevant financial and corporate information, and contracting supplies in a framework of free competition. Excellence is one of the fundamental values for EMV, placing the satisfaction of customers, suppliers and employees at the centre of our professional action. EMV’s action with the general interest groups and particularly with the workers is one of honesty and professional responsibility, creating value for the environment where it operates, and for its customers. EMV considers the capacity and contribution of each of its workers, and the values and principles that drive them. EMV has the obligation of protecting the personal and private information of each of its interest groups, and particularly that of customers, employees, shareholders and suppliers. The requested personal information must be adequate and pertinent for the purpose for which it is required. All information received must be safeguarded and only used for the purpose for which it was transmitted, respecting all rights of access, rectification, cancellation and opposition and all in accordance with current regulations in this area and the internal rules on the treatment and confidentiality of personal data. In carrying out our activity we must consider not only the economic profit, but also the social and environmental benefit. Through its Foundation, EMV is a partner to the World Tourism Organisation‘s ST-EP program, and takes on the commitment of funding projects to attenuate poverty through sustainable and responsible tourism, and promoting dialogue and interculturality. For EMV dialogue and the sociocultural authenticity of the communities in which it operates and the communities of origin of the passengers is a basic principle, and so it will very positively view all experiences, activities and projects carried out from the Europamundo foundation and Europa Mundo Vacaciones to bring dialogue, their cultures and customs and their uses to all interest groups and especially to all EMV staff, guides and collaborators in direct contact, in order to create a more tolerant, diverse and sustainable world. Customer orientation. We meet the needs of internal/external customers by ensuring that their expectations are met and demonstrating passion for improving the service and commitment to continuous improvement. Responsibility. We are the largest circuit operator in the Latin American market, which imposes great responsibility on us. The company management also has the enormous responsibility of directing its work teams, involving them in the Europamundo project and transmitting the company values. Creativity. Europamundo has great capacity to identify, develop and apply innovative focuses for the daily situations and problems in its area of responsibility before its customers and workers. Commitment. 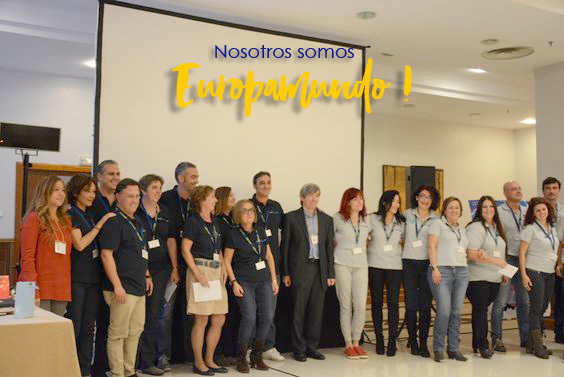 In Europamundo, enthusiasm is what drives us to give the best of ourselves to others, to fulfil the dreams of our workers and customers making them important figures in the business challenge of the Organisation, involving, listening, sharing, helping others, collaborating actively and acquiring the greatest possible commitment to effectively contribute to the goals and results of the Organisation. Flexibility. We assume new processes, situations, tendencies and resources with a practical and positive sense. Our ability to adapt in different situations and with different people and cultures enriches us personally and professionally. Listening. We must stress our willingness and capacity to receive and understand any information our customers and workers send to us. Europamundo creates “community”, we love to listen. We therefore create the necessary technological tools to help us approach their needs. The EMV philosophy, its goal, is the need to work in a team, to combine our efforts, and the importance of each individual worker, of listening to their suggestions, of receiving their ideas and discussing their points of view. There is a clear need to work with our interest groups, distributors, suppliers, travel agents and employees. It is fundamental to create bonds with the travellers in order to share their impressions, their photographs, their travel experiences through their emails, our blog and the social networks. Success lies in the engagement of the employees to achieve the goals and carry out their work, working as a team but using their creativity and extra effort individually as a person and professional, and absorbing the company values in their daily work.